Our products are made from government-inspected, human-quality meats, vegetables and fruits, as well as farm-fresh eggs and kelp supplements from the eastern coast of Canada. All products are human grade and finely ground for easy digestibility and full usage of the nutrients. No by-products or meal are used—just good, wholesome fresh meats. Our products are made with a single-source protein from chicken, turkey, beef, lamb, pork or salmon. Poultry products are free range and free of animal by-products, hormones and antibiotics. The salmon is wild Pacific salmon and the red meats are free of hormones and antibiotics. Dogs and cats do not chew food like humans. Instead, they clean their teeth and satisfy their urge to chew by chewing on chicken and turkey necks, chicken carcasses or from other whole, raw bones. We use vegetables and fruits that are easy to digest and provide a broad spectrum of nutrients, and we don’t use vegetables that are known to cause “gas” or staining. Here’s why you want to feed your pets a raw food diet. Promote better health for a longer and happier life. Experience less food-related and allergy problems. Raw food offers the full nutrition and digestive enzymes pets need, with vitamins and minerals supplied naturally without processed additives. Chewing chicken and turkey necks, chicken carcasses and other raw bones is good for cleaning teeth and satisfying dogs’ natural urge to chew. Our single-source protein makes it easy to do an elimination diet to determine allergies. Frozen raw food eliminates the need for preservatives, which are needed in all dry foods, and cooking, which destroys some of the naturally occurring vitamins and minerals. The dog’s immune system is designed to handle bacteria such as salmonella. If dogs are fed nothing but heat-sterilized food, they are deprived of the opportunity to develop an immune response to these and other organisms. Handling raw foods for your pets requires the same care as human food. Raw food will spoil if left unrefrigerated for an extended period of time. Excess, uneaten food should be refrigerated for the next feeding or discarded. Keep raw meat separate from other foods, wash working surfaces, utensils and hands with soapy water after each feeding. From the foods we choose to use in our product to the way we process, store and ship it, quality is always our most important concern. Below you can view our step-by-step process of how we process and get our product to you and your pet. Are you curious how our food is made? Check out this video…..Our amazing employees are making a batch of Chicken Full Meal! Squidal Sticks! Coming to a retailer near you soon!!!!! This dehydrated squid treat has the crunch like jerky but the taste that all furry friends will enjoy! Fun Fact: Squid is very high in Taurine! Cats need extra Taurine in their diet and adding this treat into their daily routine will benefit their health! 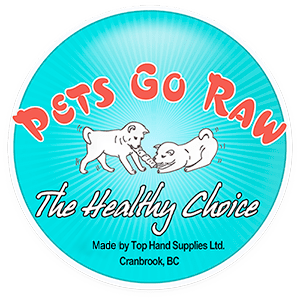 Pets Go Raw was fortunate enough to have three of their team members join the conference at the end of September! It was a phenomenal weekend with so much information from great speakers. Can’t wait for next year!